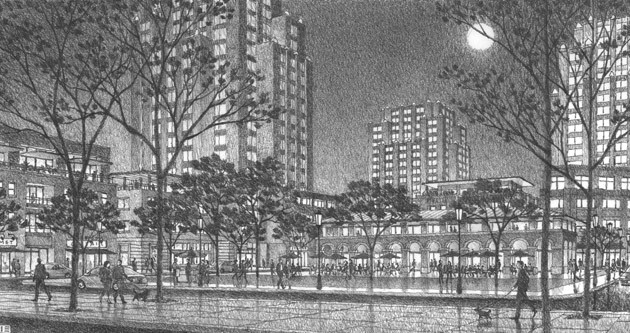 Montclair Mall into a Town Center is a specific plan that provides the framework for transforming the existing Montclair Place Mall, a 1.8-million-square-foot shopping mall surrounded by surface parking lot, into a pedestrian-oriented, multi-modal, mixed-use downtown district within walking and biking distance of the extension of Metro’s Foothill Gold Line station, which provides service to Pasadena, Downtown Los Angeles and beyond. 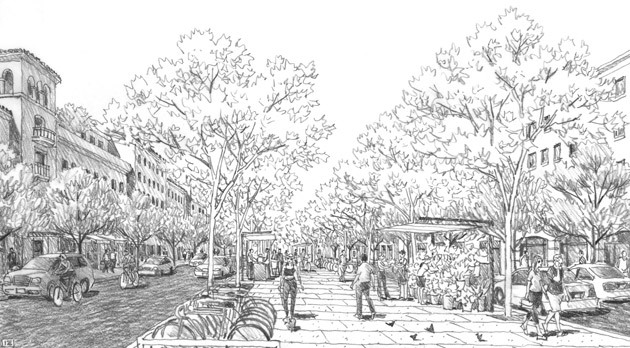 This downtown environment will be built on an interconnected network of tree-lined streets that connect inviting parks, greens and plazas. 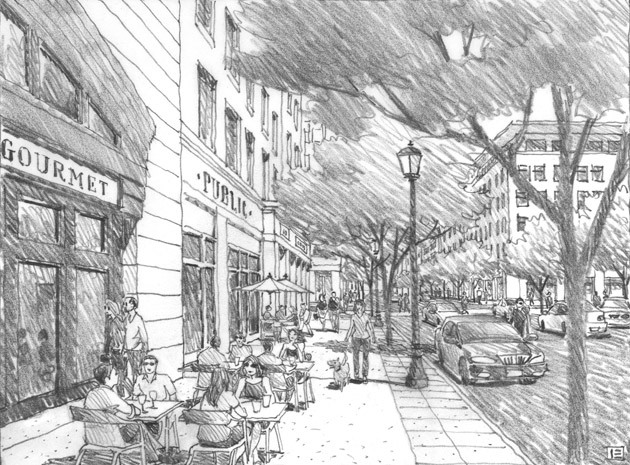 Its buildings will be built close to and directly accessible from the sidewalk. Parking will be located behind buildings, subterranean, or in lined park-once garages. 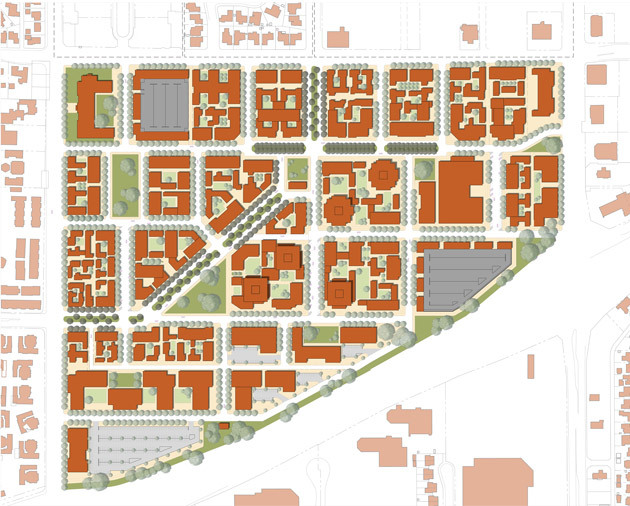 The heart of the project is the Rambla, a distinctive, three-block-long retail mixed-use street with a linear plaza running down its center. 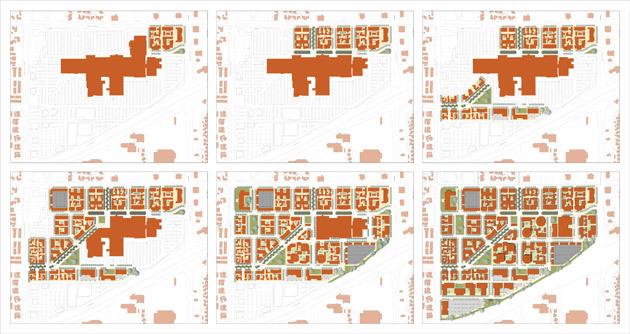 This specific plan anticipates introduction of approximately five million square feet of residential (6,321 dwelling units) and will accommodate up to two million square feet of retail, office, medical office and entertainment uses.